She has a license for: equestrian accompanist; federal guide: instructor, environmental equestrian guide and ENGEA instructor; 2nd level equestrian technician, 1st level Dressage and Olympic disciplines, FISE instructor; has been responsible for equestrian itineraries for the Sienese Chianti region. She has participated in numerous advanced training stages: with Colonel G. Grignolo - international judge of Events - and with Marcia Parronchi - Tuscan technician for Dressage; with A. Argenton - Silver medal for the disciplined Equestrian Events at the Monaco Olympics. She has followed a advanced training also with P. Margi. Organizer of horseback holidays in the world (Europe, Africa, Australia, New Zealand). She has spent time overseas (France-England) to consolidate her language skills in English and French. 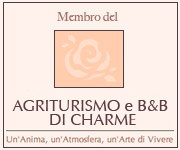 She has a license for: equestrian accompaniment, federal guide, instructor, equestrian environmental guide and ENGEA instructor, 2nd level equestrian technician, 1st level of Dressage and Olympic disciplines: has been responsible for equestrian itineraries in the Sienese Chianti area. 1995, 1996, 1997 attended stages for advance training for Events at the English stables of "Gabbits copse" Wantage, Oxofordshire, with Jane Tolley, preparing horses at an international level and judging dressage. Participated in a stage of yoga and meditation in India at Aschram di Sivananda and Divine School ofVAndithadam, Kerala.